Ever had a locate be wrong? Locates tell you where, but never tell you how deep! No more utility repair bills! 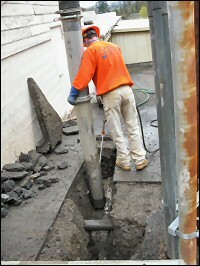 Avoid costly mistakes with hydro-excavation. 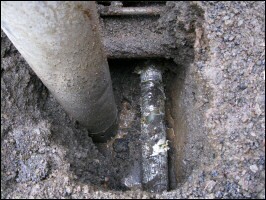 Explore those poorly marked utility lines with water instead of a back hoe and shovel. Delicate or aggressive, we can get the job done and done right. Hand gun or Soil Surgeon, we will remove the dirt and material from around your utilities while storing the debris safely in our holding tank. Our Vacuum truck carries 1500 gallons of water to clean catch basins, expose pipelines, bore holes, clean manholes, sumps and swales in a fraction of the time, saving you time and money! © 2018, Bergen Construction Inc. All Rights Reserved.